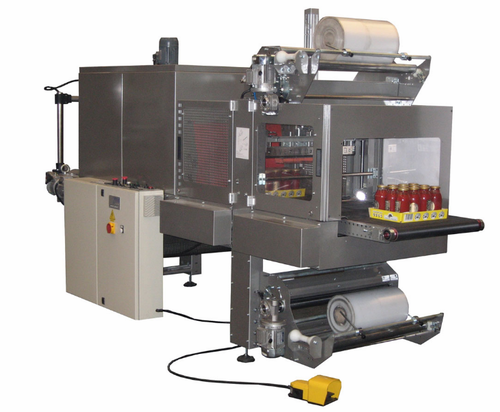 Our range of products include packaging machine. Ideal for shrink packaging of various products using LDPE, PVC, POLIOLIFIN shrinkable film. Suitable for shrinking any products in on line production, making the product tamper evident, pilfer proof, scrach proof and moisture proof. Make promotional offer improving esthetics. Stainless steel construction with customized chamber size. Cooling section / multiple heating zone. Fibre glass open mesh teflon coated belt conveyor. DC/AC variable speed drive for conveyor speed / air velocity.